Small Windows utility that can quickly enable and disable USB ports. It has interface and runs from the system tray. You can control the devices from the right-click context menu or main graphical form. 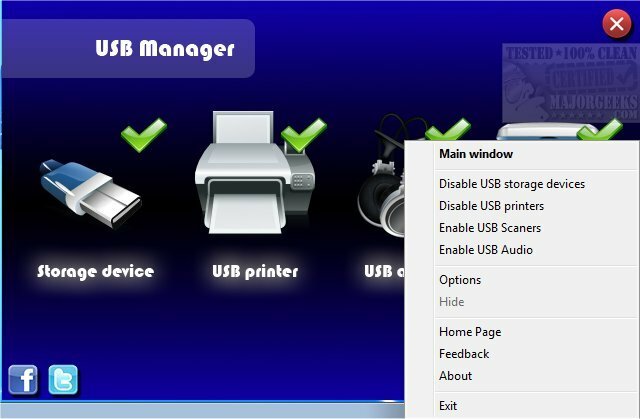 It allows users to control USB devices such as, storage, printers, scanners, audio, and other devices. It can also be used to lock a device. Suppose you want to disable printing, scanning, or a storage device, first disable it and then go to options to Password Protect the settings. This can in fact be very useful. If you have a computer in office Workspace and are worried that someone might copy a file then you can disable storage devices and password protect it. 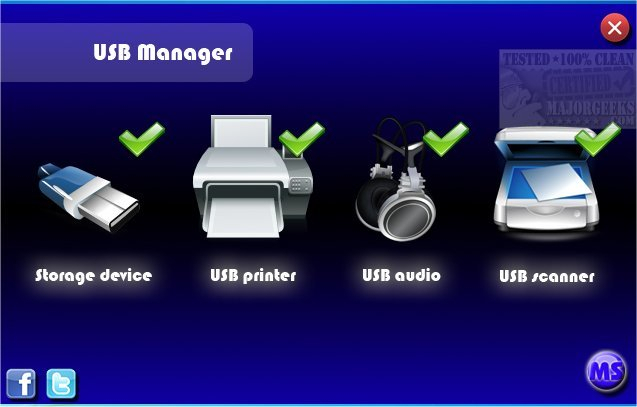 Once done, all USB inserted in your computer will fail to work.